Exterior design shall also be provided so that the entire aircraft can match the customer style and taste. 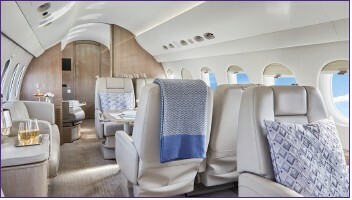 Sparfell & Partners, the aircraft remarketing specialist based in Geneva has announced the launch of Sparfell Design which will provide new services aimed to the full customization of the aircraft interiors in order to tailor the entire cabin to personal preferences of the owner. Such services, thanks to the existing association, shall also be offered by G&G Aviation to its customers.